How can our design team ethically move forward, given these circumstances? Do we scrap the code because construction costs too much? Should we assess the design by what we feel is good professional judgment? The answer is, clearly, No. 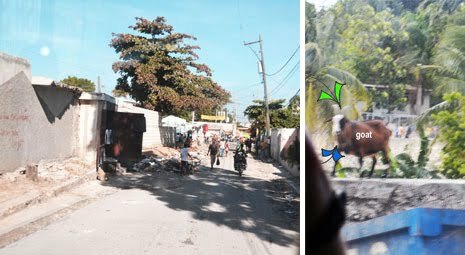 The lack of local code is exactly why Haiti is in “rubble trouble” and why it continues to struggle to improve. One big factor to influence the success of building in Haiti is the education of the local workforce. I, we, understand that time costs us money. In Haiti, time costs us people. After visiting the site in Port-au-Prince, we understood that we were not only designing a building but also needed to seriously consider the construction process and how to train the workers to assemble the building to code. Daily on site instruction for the workers would be required to ensure correct detailing and erection methods are performed. The dire need for shelter, for good buildings to be built, is subverted by the daily patterns of Port-au-Prince: Workers will quickly move on to look for new work, whenever there’s a delay on a construction. This leaves us with the possibility of losing an entire set of newly trained individuals and the need for constant supervision, since workers will almost never move past an intermediate skillset. Under these circumstances construction is slow, time-ridden, and constantly at threat for error. Our greatest challenge has been identifying material sources that meet structural and fire protection codes and can be sustainably harvested. Obviously, importing materials is counterproductive to providing a sustaining and financially resourceful economy for Haiti. We want our design to reflect Haitian culture and emphasize the use of locally available materials and industries that can support the growth of a skillful local economy. Unfortunately, misdirected socioeconomic policies have depleted Haiti of wood, its most structurally sound and locally-available material. When available, it’s a highly sought-after commodity, liken it to gold. There is absolutely no control over its growth or use. If we wanted to use wood, we would need to import it – an expense Haitians can rarely afford. Surprisingly, rebar is not much better. It is used – old and new alike – for concrete construction and repair. Its condition for use, whether rusted, ribbed or smooth, is irrelevant because the Haitian construction worker lacks the knowledge to identify good, workable rebar for reinforcement. 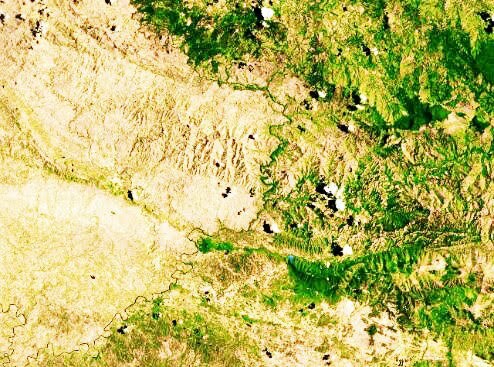 A promising material in Haiti is bamboo. It is beautifully finished, easy to build with, generously strong in tension, and rapidly renewable. At this time, there exist no technical studies on the structural properties of the particular bamboo species currently found in Haiti. We would like to move through an ICC-approved testing process to understand the material’s properties, specifically for this species. However, the project’s quick timeframe and the cost and logistics of this effort outweigh the benefits of using the species in any sort of structural manner. The inability to use fly ash is another example of how meeting our standards is proving difficult. Using the waste product as a low embodied energy cement substitute in concrete is arguably one of the most common sustainable structural strategies in the U.S. To date, we have not found a supplier of fly ash in Haiti. We are exploring the possibility of using burnt rice husks, but like bamboo, the process of acquiring and controlling the quality of this substitute is a logistically challenging, time-dependent – and therefore expensive – strategy. Concrete and quality blockwork seem to be the solution, but they present problems of their own. As a material, concrete brings with it fear since so many people perished under its weight in 2010. In addition to the weigh of the concrete, the collapse had to do with the way the material was reinforced, if at all. In some ways, enforcing a code can prove to be an education about the means and methods of construction. 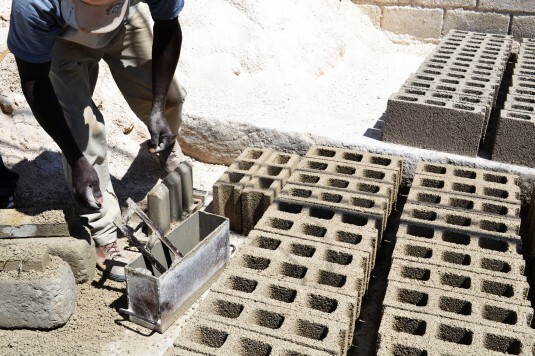 While in Haiti rebar is used, there is little understanding about why it is placed and where it should be correctly located to increase the strength and ductility of the concrete, or the masonry, not just as a material but as a structural system. We continue to explore code-compliant ways to use the concrete rubble, now a bountiful resource. Gabion walls? Yes, but with caution. The culture’s voodoo frowns on using materials taken from a structure where someone has perished. Crushed cement powder for new concrete? In some circumstances, this may be acceptable. It’s been widely suggested that in order to crush and recycle rubble for re-use in new concrete, one must first determine the level of impurities in the old concrete to assess the strength of the new concrete. Certainly, one can assume the concrete is low in strength with impurities; however, in our case, this mix would most likely not support our three-story building listed under Seismic Category D and classified as a life-saving structure. Our standards are written as guidance in the pursuit of good design, and good design surely does not discriminate, right? 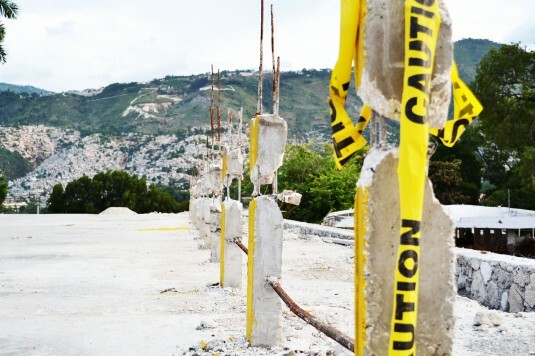 It seems unjust that it should be so difficult to provide quality construction in Haiti. For Haitians the saying, “dye mon, gen mon,” reflects their perseverance, no matter that “beyond the mountain is another mountain.” Similarly, Theodore Roosevelt once said, “Nothing in the world is worth having or worth doing, unless it means effort, pain, difficulty.” And so we move forward with creativity and a sense of humility, for the higher purpose of making something good for Haiti. Sally Gimbert, LEED AP BD+C, is a structural design technician at HOK, where she is active in the leadership of HOK IMPACT, HOK’s firm-wide social responsibility program. 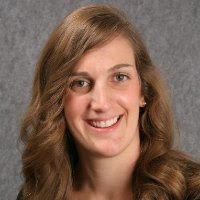 She is a member of ASCE’s Structural Engineering Institute Sustainability Committee with interest in LCA and disaster resilient design strategies. Australian-born, Sal graduated from Pennsylvania State University with a professional B.A. degree in architecture and an M.S. in architectural engineering, focusing in structures. She led the 2007 Penn State team to a fourth-place finish in NREL’s International Solar Decathlon. Nice idea.thanks for your sharing.